Fantasy and Reality Sports, Do They Overlap? The Detroit Red Wings fell to the Tampa Bay Lightning 5-4 on Thursday night. After storming out to a 3-0 lead, the Red Wings struggled to hold the lead. The Tampa Bay Lightning offense was too strong, with forward Nikita Kucherov scoring a power-play goal, four seconds into the man advantage. However, more importantly, Filip Zadina played his final game for the Detroit Red Wings this season. And, in that time, he did nothing to show that he does not belong in the NHL. Zadina scored one goal and tallied two assists in nine games with the Detroit Red Wings. The 19-year-old seemed to handle himself very well during his nine-game audition with the Red Wings. He never seemed like he was out of place or that the game was too fast for the Czech forward. At 19-years-old, according to NHL entry-level contract rules, Zadina can become a restricted free agent after his contract expires in three years. If he had played one more game for the Detroit Red Wings this season, Zadina would have had to have been protected during the expansion draft for the Seattle franchise that has yet to be named. NHL Mock Draft: Jack Hughes to New Jersey? The Czech will go back to the Grand Rapids Griffins to play out the rest of their season. Zadina has recorded 15 goals and 31 points during 45 games for the Griffins. His confidence should grow given his success during the nine-game audition with the Red Wings. Blashill added that Zadina will have every chance to compete for a permanent roster spot next season. This is where the eye of the franchise is looking as the Red Wings are in the midst of a streak that has seen them win just eight of their last 10. Want to write for FPC? 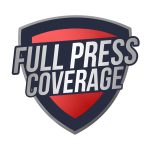 At Full Press Coverage, we are always looking to add to our talented staff! If you are a talented writer and have a passion for football, click here to apply. The Vikings have most of the pieces in place to compete for a championship right now. If they are to reach that goal in 2019, they could very well take a more aggressive approach than we've seen in recent years. FPC Steelers Podcast - Would you trade up for Devin Bush? Parker Hurley and Brian Harker talk about the latest Steelers news before the NFL draft. They discuss how much they would trade for Devin Bush and debate how far he could fall in the draft. Then the two rank some of the top linebackers and cornerbacks in the draft. Latest headlines in the world of sports with Thomas Murphy, Pamela Michelle, and Brad Johnson. On this week's episode, Mike and Murph breakdown the movie 'Eastern Promises'. Directed by David Cronenberg and starring Viggo Mortensen and Naomi Watts. Biggs and Obee discuss what to do with the 4th overall pick and preview the schedule. In addition they welcome Raiders season ticketholder Gabriela Rice to the show. They discuss the Raiders, life on the West Coast and how the media failed in recent coverage. On this week's episode, Donovan, Eric, Bill, and Darius discuss the great non-team athlete of all time. Plus, with the NFL Draft just around the corner, they give you their "NFL Draft Hot Takes" before discussing their Top 5 Jay-Z songs of all time. Seattle Mariners: Are They For Real? You actually believed this one? Really?